It’s a dark, eerily quiet night, moon light streams down ominously on rows of ancient tombstones that crisscross the old cemetery. Gusts of wind whisper through the outstretched limbs of the giant oak trees lining the borders of the graveyard and pick up piles of leaves, creating little whirling dervishes that travel down the rows of grave stones. A cat hisses and jumps with fright as the soil beneath its paws begins to move, suddenly a fist pops up through the soil, then an arm, followed by a head with a hideous grimace on its face, soon the decaying form of a zombie stands in front of its grave and makes its way toward the street. To us zombie fans, these are familiar images; ones that make us reach for the popcorn and clutch the arms of our couches. Victor Halpern’s White Zombie was released in 1932 and is often cited as the first zombie film, but it was George Romero that created the modern incarnation of a zombie that we love today. 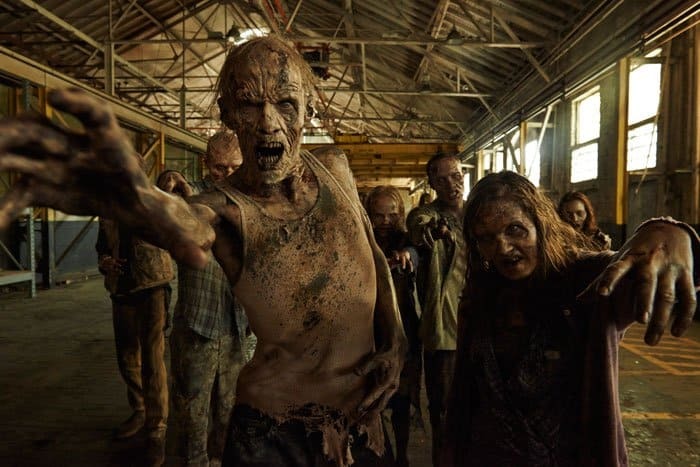 Romero’s style zombies have thrilled horror fans ever since his film, “The Night of the Living Dead,” where a group of people hide from bloodthirsty zombies in a farm house. It premiered in October of 1968. Zombies have remained in the limelight off and on since then, but it was Robert Kirkman, an American comic book writer’s incarnation of the “Romero Zombie” that took the subgenre to new heights. As we “Walking Dead” fans anxiously await the start of season 5 of, “The Walking Dead,” I was able to speak to some of the show’s cast members. Tell us about Rick’s state of mind in Season 5. Has Rick come to terms with the madness inside of him? What did you think when you first read the script for the season 5 premiere episode? What was your first impression of the season 5 premiere episode? The first episode was written by Scott Gimple right? 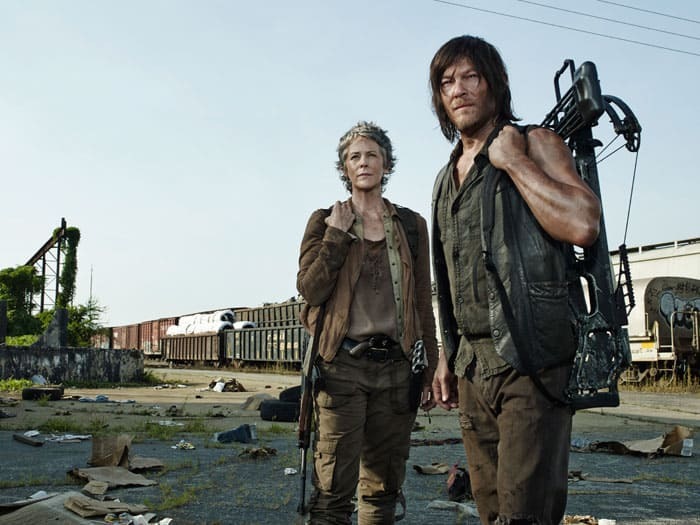 Did Daryl’s experience with Beth change him? What does Michonne think about what Rick did to save his son last season? What can fans expect from Michonne this season? How do you keep your sanity working on such a heavy, serious television program? Is it hard to play a badass like Michonne? I like being exhausted as an artist. I come from theatre. I want to be tapped out at the end of the day. That means I give Michonne all I have. How do you think Michonne will do without her Katana? What has been it been like growing up on the show? 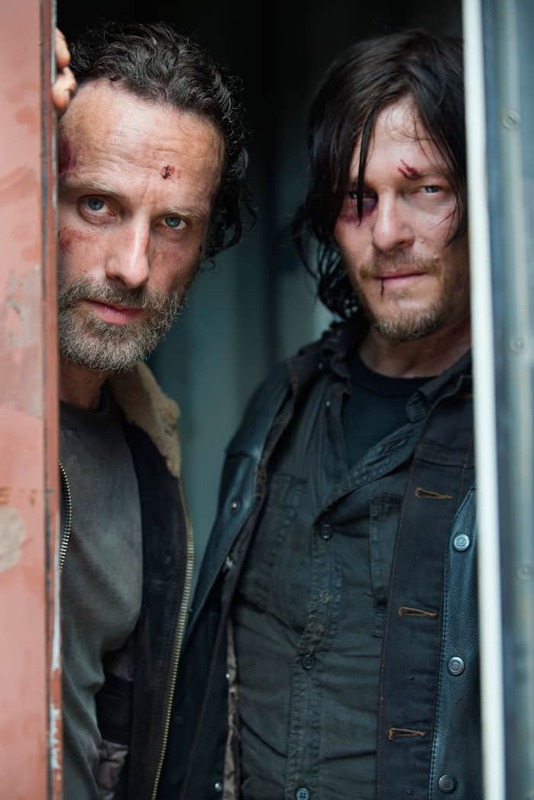 We “Walking Dead” fans have been in agony waiting for start season 5 of the show. We have so many questions from last season. Where is Beth? How will they escape the rail car? One question I can answer and that is, the shows starts this month, and I can’t wait!